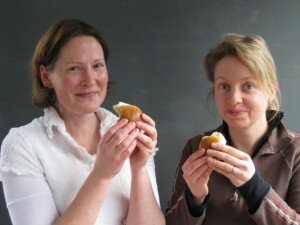 Learn to bake Cream Buns - the Nordic Way! 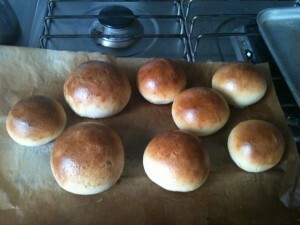 Learn to bake Cream Buns – the Nordic Way! 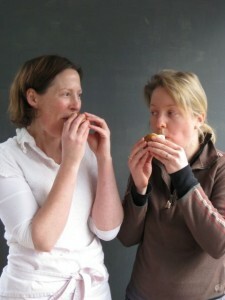 I asked around for a recipe for Semlor - the Swedish buns that are eaten on Shrove Tuesday to mark the beginning of Lent. They are rich, sweet bread rolls, spread with marzipan and then stuffed with cream and then crammed into waiting mouths (see below...). In the true tradition of Shrove Tuesday cooking, Semlor are designed to use up all the rich food in the house before lent. Banish eggs, use up butter, empty the sugar bowl and beat up all the cream...gorge yourself in preparation for the six weeks of Lent! For those of us who are not quite so strict, here is the recipe for Semlor which you may want to try one of these winter week ends when you are preparing to receive guests for tea of coffee. They make a welcome change to cake and are every bit as nice. This recipe was given to me by the lovely Signe Johansen a Norwegian living in London, and the brains and heart behind Scandilicious. She told me they are called Festelavensbollar in Norwegian and if you can pronounce that you deserve to eat lots of them. I have adapted the recipe only slightly. 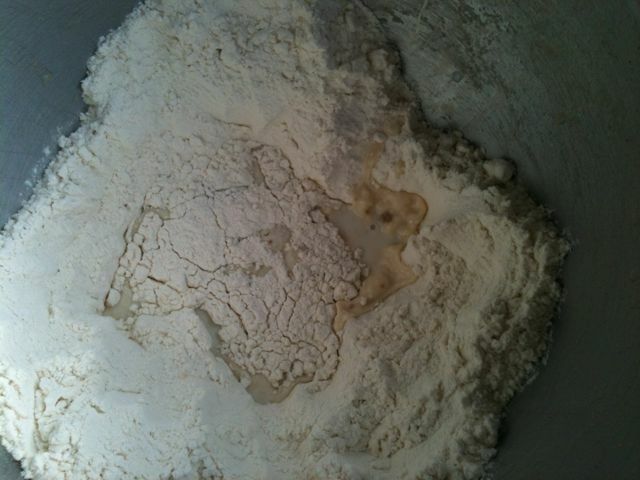 Measure the flour into a bowl and make a well. Sprinkle in the sugar and the the yeast and pour over the cool milk. Flick some flour over the well to close it and cover the bowl. Leave it to rest for one hour. After an hour, the yeast should be all foamy. At that point, add the cardamom and the salt and knead well for 10 minutes. Then add the butter and knead well for another five. Cover the bowl and let it rest for 2-4 hours until the dough has doubled in size. Alternatively, pop it in the fridge and let it sit over night. Pull the dough out of the bowl, divide it into 15 pieces and roll each piece into a tight ball, resisting the temptation to add more flour. 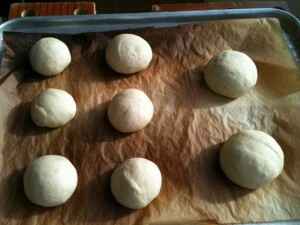 Place the balls, about 2 cm apart, on a baking tray that is lined with baking parchment. Cover and let rise for an hour if they are warm or 2 hours if they are cool from the fridge. They will double in size. Preheat the oven to 220 degrees. Crack and scramble the egg with 1 tablespoon of water. Glaze each bun and then pop them in the oven. Bake them for 15-20 minutes (check after 15 so they don’t get too brown). Let them cool completely on a wire rack and then cut them in half across the bun - like a hamburger bun. Spread the bottom half with marzipan and then top with whipped cream. 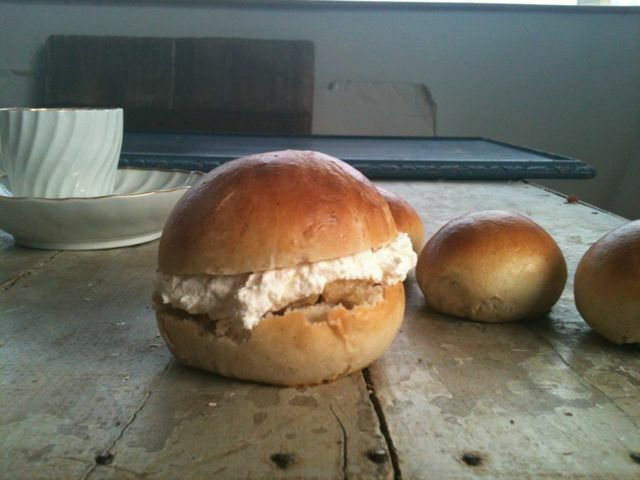 Put the top half on the bun on the cream and present them on a plate to all your admiring friends. Well, at least they are happy! Thanks to Pete Cassidy for taking the photos of Jane and Iona and encouraging us to stuff ourselves to look like a couple of squirrels at the beginning of a particularly arduous lenten season. How do I know when my sourdough starter is ready? What is Italian 00 flour? Copyright © 2019 Bread Making Courses London – Learn How to Start a Home Baking Business -Virtuous Bread. All Rights Reserved.